Was changing my Clutch Master Cylinder and found a vacuum line just sitting there under it. Not sure where it goes. I don't have my service manual with me right now so I can't really go to it. Anybody have any ideas? I don't think I have this on my car, which is more or less stock. But it doesn't have all the factory options so my guess is that it's something A/C related. Man, you have a CLEAN compartment there! I second what our Czech said, my '84 turbo does not have that device. It doesn't exist on my 85 CA20 either. I think I have that on my 85 ca20; I will check later this eve. Almost 100% sure there's a pic in the fsm too. Sorry, not on my 85. What year is your car? 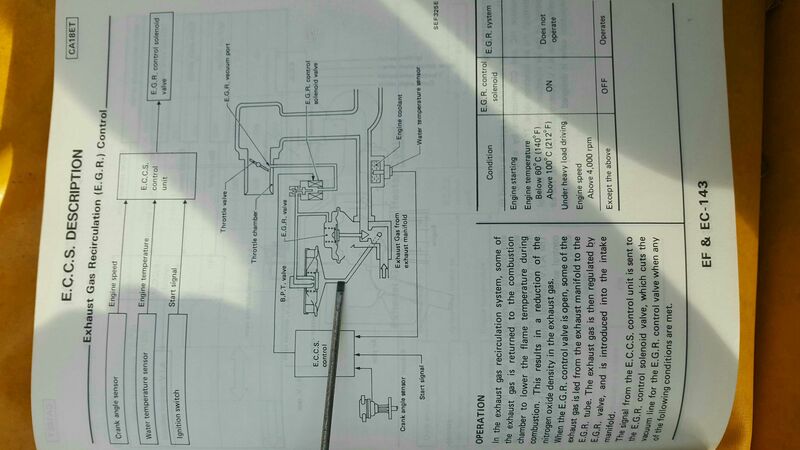 That looks like something to do with emissions or idle control based on where the other vacuum lines are going. My guess is that metal stub should be going to the intake as a main vacuum source for that part. I would think you could hear a vac leak with that being unhooked. Thanks fellas for the quick response. I'm going to check it out and see if it connects somewhere along the intake like rednucleus suggested. It seems about right even though I haven't been able to hear a leak. I'll let y'all know tomorrow what I come up with. Thanks man. I try to keep it clean. I think I may start a build thread even though I don't know whether or not I'm keeping the car just to document. I stand corrected, it's not A/C related. It appears to be a Mk2 thing that's why it's not in my car. 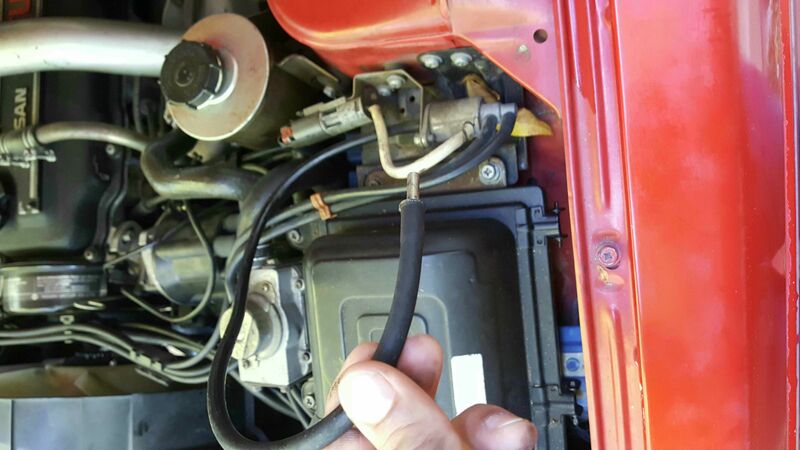 According to the diagram it should connect somewhere between the turbo and air filter box. Yeah, it connected right before the air flow sensor. Thanks again guys. So the $64 question is what the heck does the thing do? Did you notice any change after you hooked the line up? I honestly have no idea. I just recently started driving the car about a day ago but it's been driving worst then before after doing the repairs. 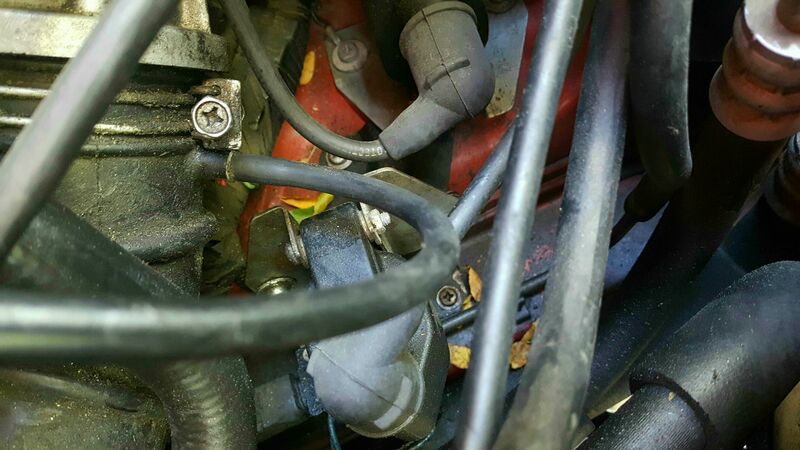 Also with connecting that line, I just recently changed the P/S hi pressure hose, clutch slave and master cylinders, coolant line frome throttle to thermostat, #2 fuel Injector, PCV valve, and a vacuum line that connects to the B.P.T (exactly where I'm pointing at). Now the car seems like it's struggling to get air and the turbo is constantly coming on even when I lightly push the accelerator (while driving, not while I move the throttle cable). I'm more than certain that it has nothing to do with either of the cylinders, pressure line, and coolant line. Possibly injector, but doubtful. I'm going to check for codes and from there, but if anyone has experienced any of these systems while possibly changing one of the the components I've changed, a little bit of direction would be greatly appreciated. Yeah, pull the codes. In fact if it's been running poorly since before you did all that you might want to clear the codes and run the engine again. Obviously the clutch and steering work won't have effected the engine. Aside from the mystery vacuum line are all the other vacuum lines going to the right places? I check the codes and it shot out 12 (air flow circuit) and 13 (water temp sensor). And all the vacuum lines are all connected correcrly. 13 must have came from the car not warming up properly because my radiator didnt get hot when the car was running. I flushed the coolant and cleared the code and it's warmed up again like it's supposed to. 12 must have came up because of the inlet tube rubber seal kept coming off of the turbo while driving so extra air was coming in. I've cleared the codes and been driving it for a couple days now. All seems right with it now. Thanks guys for the help.